Designers Dexter and Byron Peart of WANT Les Essentiels de la Vie have combined the worlds of fashion and sport to create a limited edition collection of bags in celebration of the 2012 London Olympics and in honour of the brilliance and talent of it’s participants. 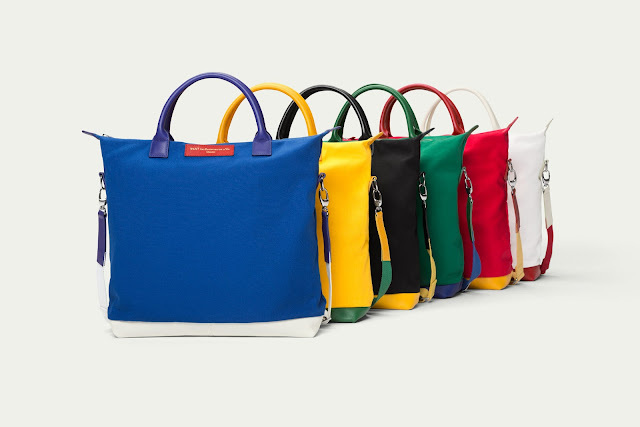 vibrant bags have a leather base, certified organic cotton case and a shoulder strap and interior pockets with a contrasting colour mesh lining. Each special edition O’Hare will have a commemorative hangtag and will be available at a fine selection of retailers worldwide.